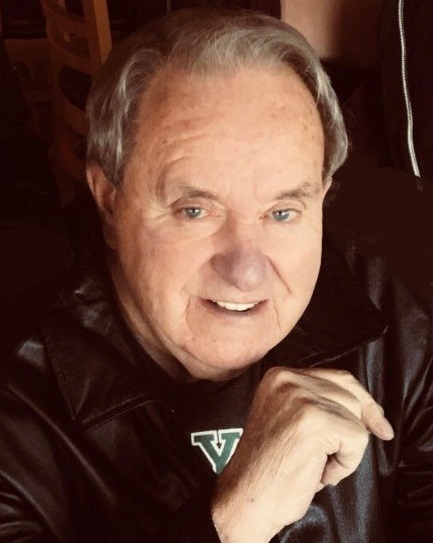 Obituary for William N. "Dutch" Schultz | Shore Point Funeral Home and Cremation Services, Inc.
William N. Schultz, fondly known as "Dutch", 75, of Middletown, New Jersey, passed away peacefully at home with his beloved family on October 22, 2018. William was born in Kearney, New Jersey and later moved to the Bayshore Area, settling in Middletown. William was a very active part of his community. He was a lifetime member of the Middletown Elks, served as S.A.L. Commander of Squadron 321 in Union Beach, in addition to working as a volunteer firefighter with New Point Comfort Fire Department in Keansburg. Before retirement, Dutch worked as a Union Pressman for G.C.I.U. Local 8N for 48 dedicated years, which served newspapers in both New York and New Jersey such as the Newark News, the Daily News, and the Star Ledger. Dutch was an avid New York Jets Fan and one of his favorite things to do was visit Atlantic City, where the slot machines were his absolute favorite. Above all else, William was an adoring father and grandfather who was greatly loved by all of his family and friends. He was predeceased by his parents, William H. and Grace Schultz of Keansburg, New Jersey. William is survived by his loving children, William Schultz and his wife Carol, of Forked River, New Jersey, Claudia Meehan and her husband Craig, of Leonardo, New Jersey, Amanda Hamilton of Boynton Beach, Florida and Jessica Schultz of Boynton Beach, Florida, his cherished grandchildren, Lauren, Grace, Caitlin, Frankie, Gia, Sophia, Dina, Jesse, Arrielle, Amelia, and Giovanni, and his adored great granddaughter, Brooklynn. William will be greatly missed, but never forgotten. Family and friends are invited to visit on Sunday, October 28, 2018 from 1:00 to 5:00 PM at the Shore Point Funeral Home and Cremation Services, Inc., 3269 State Highway/Route 35 North, Hazlet, New Jersey 07730. A prayer service will be offered at the funeral home at approximately 3:00 PM. In respect of his wishes, William will be privately cremated. For information, directions, or to send condolences to the family, please visit, www.shorepointfh.com.